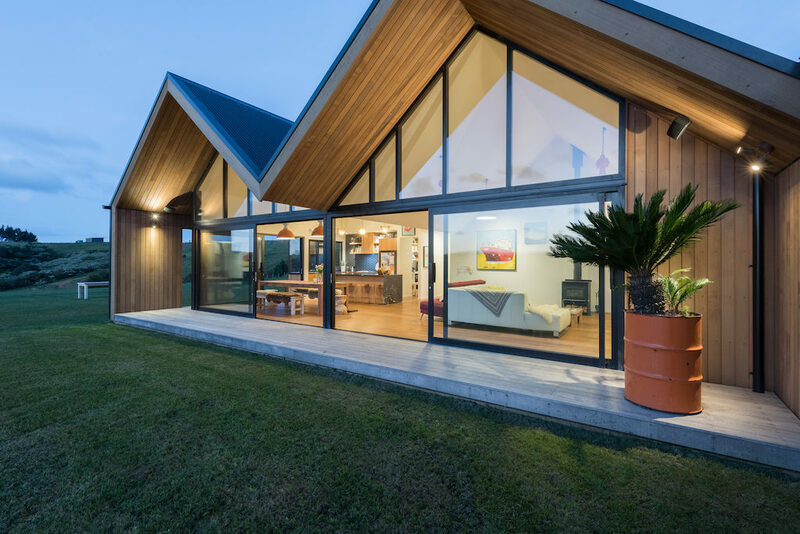 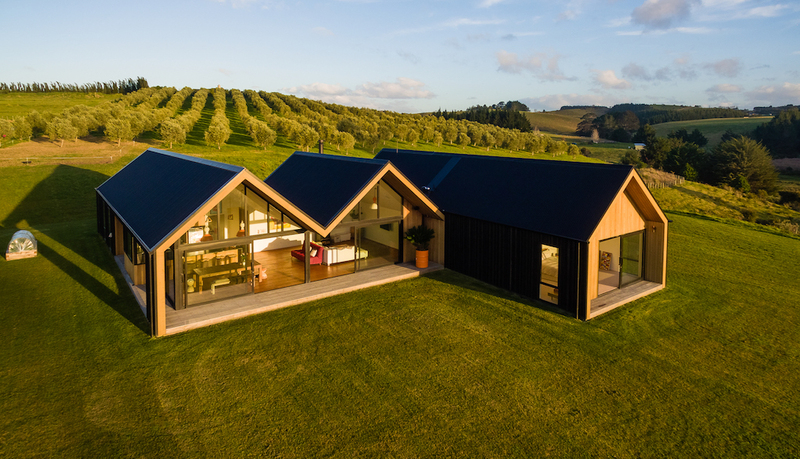 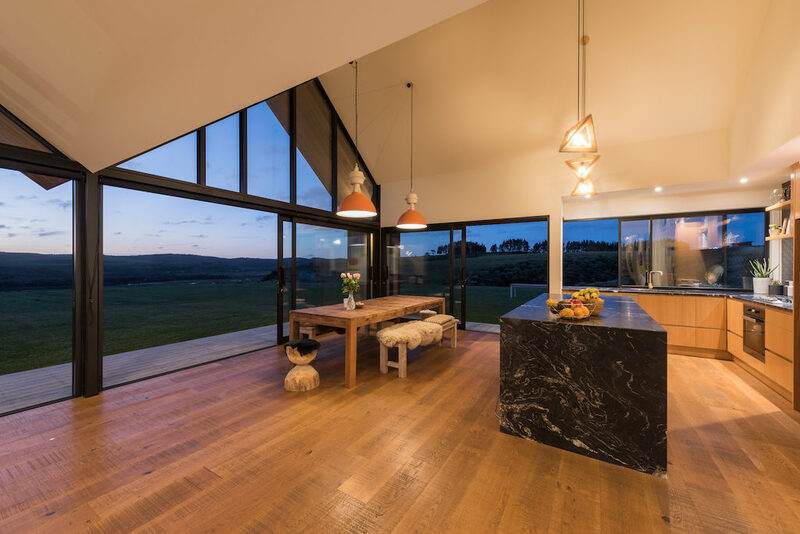 A striking new home on an olive orchard in the Bay of Islands. 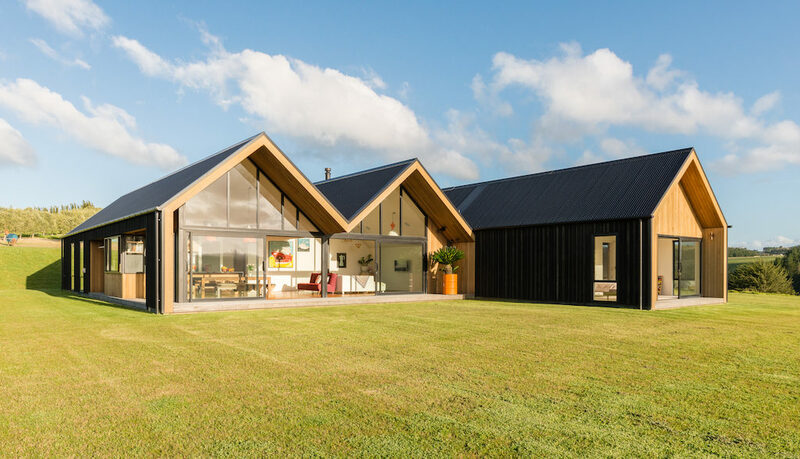 The owners were inspired by imagery of modern renditions of barn-like forms, particularly from some Australian examples. 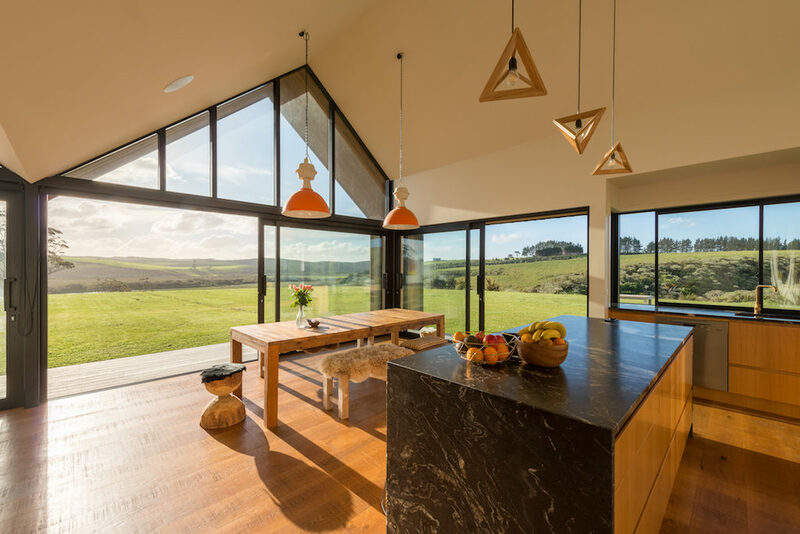 Exacting attention to detail, including a roof set out that repeats to millimetre perfect symmetry pays dividends in realising the dream.